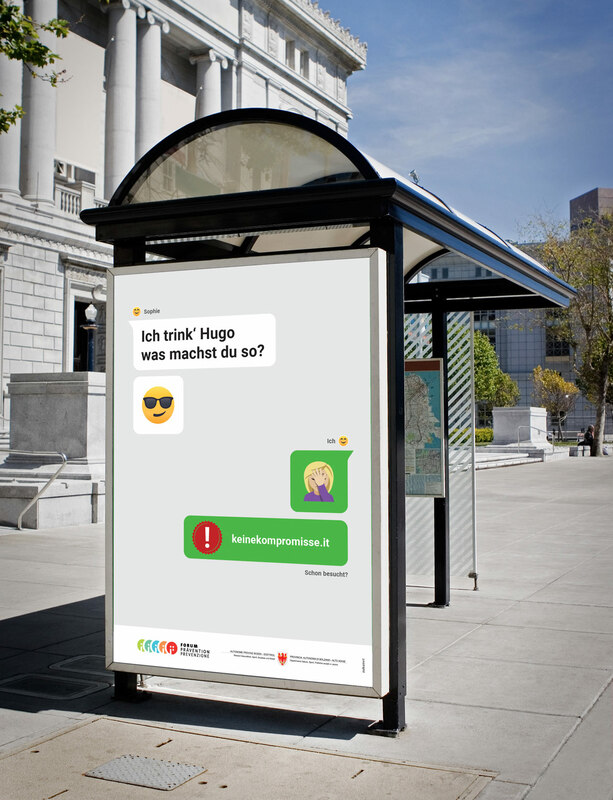 The 2018 edition of the "Keine Kompromisse" campaign tries help alcohol prevention in South Tyrol in a catchy and inclusive way. 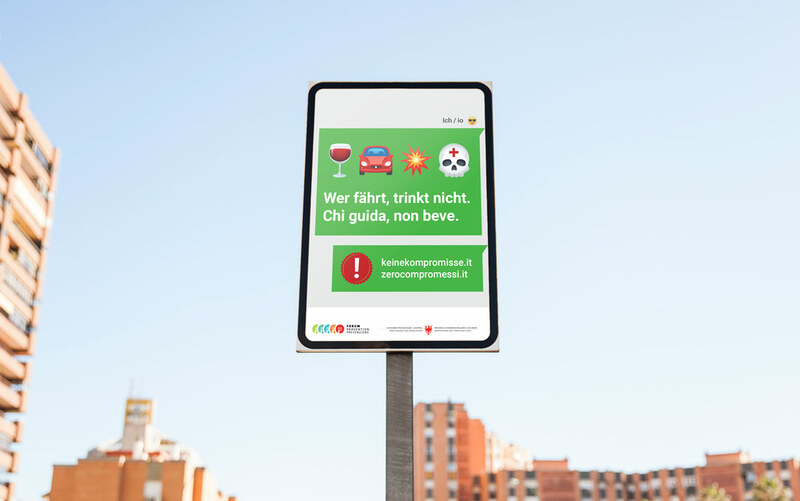 An essential point of focus for the campaign was the continuation of the long term goal of the annual campaign series: critically challenging the deeply rooted beliefs and habits of alcohol consumption in South Tyrol. 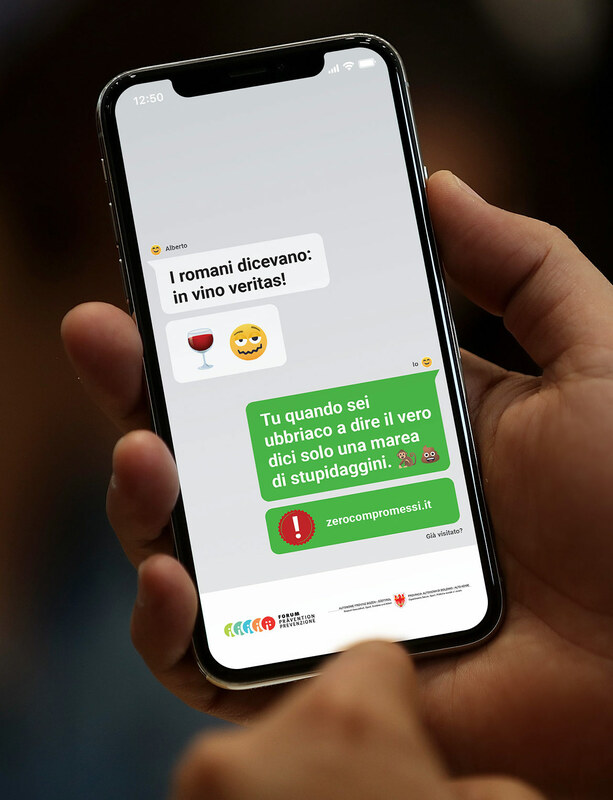 Besides illustrating the risks of consuming alcohol the campaign also wants to change social norms: not drinking as a positive outlook on life. 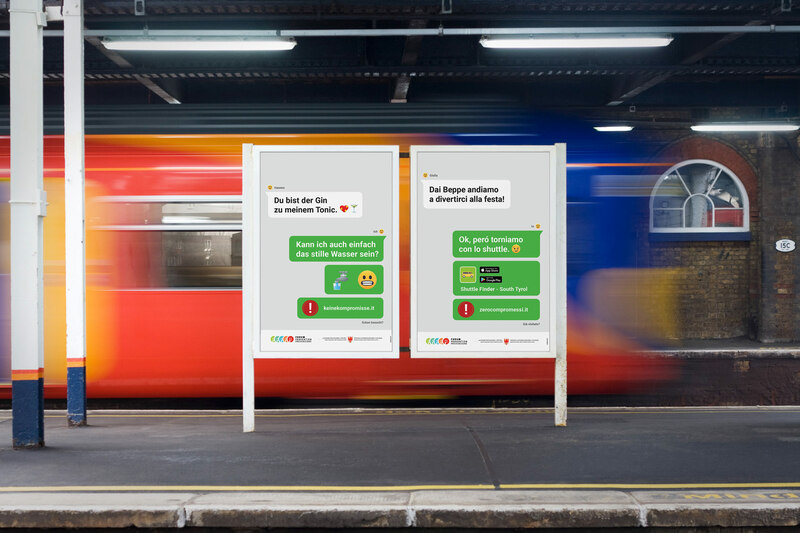 We created the concept of this year's edition and were also in charge of its design.